Aside from the obvious benefits of having more room to move, multiple studies have shown the significant benefits of green infrastructure on the environment. In particular, green spaces have the ability to reduce their surrounding temperature by between two and four °C. This is achieved via plantings that soften the hard surfaces typically used in construction, such as concrete, metal and glass, and which absorb energy from the sun to create ‘heat islands’. Then there are the associated benefits of greener living and working environments on productivity and mental wellbeing. And these are not just hearsay, but proven. There have been multiple studies that confirm that humans have a ‘biophylic’ response to nature and that having access to green spaces has an impact on liveability, health and wellbeing. In a market-leading acknowledgement of the fact that green infrastructure is an integral part of sustainable development, leading property developer Mirvac is working with financial services provider Suncorp, architect Woods Bagot and ASPECT Studios to create a destination for employees and the general public that capitalises on Brisbane’s favourable subtropical climate. 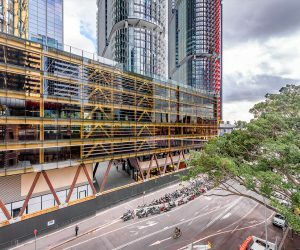 In Sydney, for example, ASPECT Studios has recently been involved in the landscape architecture for St Georges Bank in Barangaroo, as well as the green rooftop for the Commonwealth Bank located in the award-winning Darling Square. 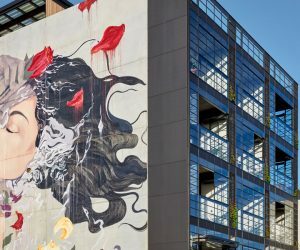 These projects showcase the growing emphasis that multi-national corporations are placing on the importance of greening their workspaces, sustainability and social wellbeing for their people. 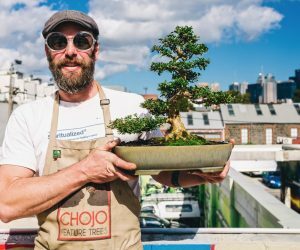 The proposed changes by Brisbane City Council to offer up ‘free’ rooftop space for green infrastructure brings the city into line with other Australian capitals but taking the extra step of incentivising the retrofitting of existing CBD buildings to include green spaces would really put the city on the map.